What could these three things possibly have in common? This could be the easiest word quiz ever. Ever since we retired, Lynn from the Northville Eagles gives us grief every time we do one of those "Reunion Gigs". "Why don't you come back and play Northville Eagles? They love you here!". She's right. We love playing there too. But when you only play 3 gigs a year and two of them are spoken for already, there's not much room on the calendar. Since our constant fill in drummer Bobby White is from Northville, and he goes to the Eagles all the time, he has been acting as a liaison from Lynn to the band. So we gave in and decided it would be fun to play one more gig this year, and do it Friday June 7th at The Northville Eagles Hall. Nothing special to celebrate. Just Free Beer being Free Beer at the Eagles. Which of course features super cold, super inexpensive beers, free entry and Northville. So get buzzed in and have a great time drinking, dancing and causing general Mayhem as we do. See you on the 7th. ​There was lots of anticipation for the Final Free Beer show on Friday January 27, 2017 at John Cowley and Sons Pub. Ever since we annouced our retirement way back on Friday, September 18th, we have looking toward the date on the calendar. We picked Cowley's since it has been our home bar for the last 10 years. We've played more gigs there than anywhere. We picked the LAST Friday of the month because we have played the FIRST Friday of almost every month at Cowley's. Chatter about the show continued to get louder and louder as the show got closer. We knew it was going to be a pretty big crowd. Every single person we knew was either going, or wished they could be there. We went and set the PA system up the night before because we knew everyone would get their early to get a seat. And we were right. We were there early. Fans started showing up right away, and they kept coming and coming and coming until Cowley's was jam packed. Sadly, we were without our diligent Drummer Tom Daldin who blew out his hearing at the BeerMas show and was told by doctors that he could no longer be in places where there are loud noises. It was really sad that Tom couldn't be there. He's was the one ingredient that made Free Beer sound different than everyone else, and his "Crazy Ivan" stops can be replicated by no one. But we are a lucky band to have someone as talented as Steve Tocco sitting in the wings ready to man the kit who knows our entire set list without practice. Thank You STEVE!! We even employed some new technology to make sure any out of town fans got to see the last show, we broadcasted the show on Facebook Live! Believe it or not, by the end of the night, 1331 people tuned into the feed including people in Ohio, St. Louis, California ... Even TOKYO!! We started early at 9PM and kicked off the set with an introduction from Scott Vertical Sitarek, just like our first show in Kevin Yonker's Garage back in 1993. We kicked it off with Cheap Trick's Hello There and cruised through set number one. Packed dance floor, people dancing in the front, back and all along the bar. We did our "Most important 4 letter word in our English Language ... BEER!" cheer. Everyone joined in. It was an awesome feeling seeing everyone you know watch you do the thing you love to do the most. Set two started and we brought up some of our past bandmates from the crowd. We kicked off set two with Kevin Yonker, Drummer #1 at the kit, playing the first 3 songs we ever played ... Rock & Roll Radio by the Ramones, Dream All Day by The Posies and Should I Stay from the Clash. Next up was Bass Player #5, Dewey Larkin. He'd been with the band for 10 years, replacing Jeff Brookmyer when he started his own band, then in turn getting replaced by Jeff Brookmyer when his Travel Schedule was too tenuous to continue last year. He sat in on a very special version of Little Less Conversation featuring Marcel Lim with his tap shoes adding to the rhythm section with some Irish Dance Steps. Next up was Jim's new daughter to be Julia. She gave another rousing rendition of "Suffragette City" with Dewey on Bass. Dewey finished off his set with Hash Pipe. Next up was Drummer #4 TJ Collica. We haven't seen much of him in the last few years. He surprised us with a visit to the final gig and played Pump It Up. Drummer #5 Stefan Raraigh popped up on stage next for Blur's Song #2. Last but not least was Bass Player #2, Marty Beem. He only played two gigs during his tenure after filling in for our original bass player Paul Sevigny a number of times. We rocked out Steppin' Stone. Then we got the five of us back up on stage to blow through the rest of our final set together. We did the dance songs, the show tunes, the Violent Femmes set, Brittney Spears for Laura C and ended it as we always have over the years ... The Doors "Love Me Two Times" into Cora's answering machine followed by a "We're Free Beer ... THANK YOU VERY MUCH GOODNIGHT!". Were we sad? Naw. For 23 years, we've been able to do what we love to do in front of our best friends ... be they someone who was there at the beginning like Keith Tyler, our families who have known us for our entire life, or someone who just happened to stumble upon us at the bar and kept coming because they had as much fun as we were having that night. The best part about the evening is that almost everyone was there ... our old friends, our family and our new friends. It was perfect. Without you it would not have been. THANK YOU for 23 great years! It's seems faster than a minute waltz, quicker than the fade out on the career of Justin Bieber, and speedier than bananas to turn from green to squishy black. Free Beer has been Free Beer for a long time. We started our 23rd year in June and we just made the decision that there won't be a 24th. This has been a journey that has lasted far longer than any of us expected. We've had friends of the band pass away and others have just faded away. Leaving a memory of those times and us wondering: "...hey, remember that one girl who used to come to a lot of shows - - what happened to her?" Free Beer is Retiring after 23 years! As many of you have heard already, Free Beer is calling it a career. Yes, you heard it correctly. The band that just wouldn't end is coming to an end. The same thing happened to her that is happening to us - - Life happened. We're all busier and stretched thin. We have commitments upon commitments and things to do and people to see. All the Bar Gigs, backyard parties, Weddings, Edelfests, Ford Corporate Gigs, and the shows we can't remember and the ones we'll never forget. 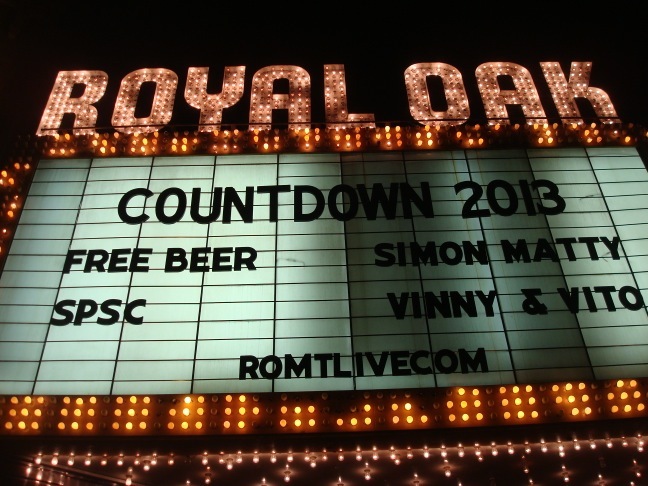 We played the Royal Oak Music theater on back to back new years eve shows. And that second year, we looked out at 1500 people who were looking back at us like WE were the ones who wrote that Foo Fighters song. Believe me, when that happens, you never forget that feeling. Oh, and we played a company holiday party that was scattered among 3 floors of a massive office building. At one point the last 5 people who were watching us, got on the elevator and left in mid-song leaving us all alone on our floor. You don't forget that feeling either. Our knees hurt, wrapping up cords at 130 in the morning gets old and it's time to sing Goodnight Irene. We still have a few more shows to play this year and we're going out with a bang on January 27 at John Cowley & Sons They've been our home bar for 10 years and we will miss them like Dorothy misses the Scarecrow. It's a poetic end that for all those years we played First Fridays, that the last Free Beer show there should be on the Last Friday of January. If you're reading this, you're part of the Free Beer legacy and friendship circle. Remember us as a band who played other people's music with vim and vigor, did our best when some days we were painfully aware that a few lessons would have really made a difference in our skills, but at the end of the song, we all stopped together - - and that's all that really matters. with a Pre Pre Pre Kurtmas Party!! This qualified as "one of those times when we thought it would be fun to play", so we did. Not only were we able to scam off the upcoming St. Patrick's Day crowd at an Irish Bar like Cowley's, it seems that the Supply and Demand curve we learnt in College really does work. If there are fewer Free Beer shows (lack of supply) everyone shows up whenever we play (high demand). This was the case as EVERYONE we ever knew showed up to see us play with Bobby White on drums. Tom Daldin showed up too but due to his hearing issue, he was not able to stick around for the gig or sit in on drums. Also, it was the night before the night before the night before Kurtmas to technically, it was Kurt's birthday and Audrey floated a cake out there. We ate it. This "only playing once in a while" think is starting to grow on us! It has sort of been a given when we "retired" that we would at least come back and play BeerMas every year until we were too old not to. We are still young enough! And this year we have a great line up for you. 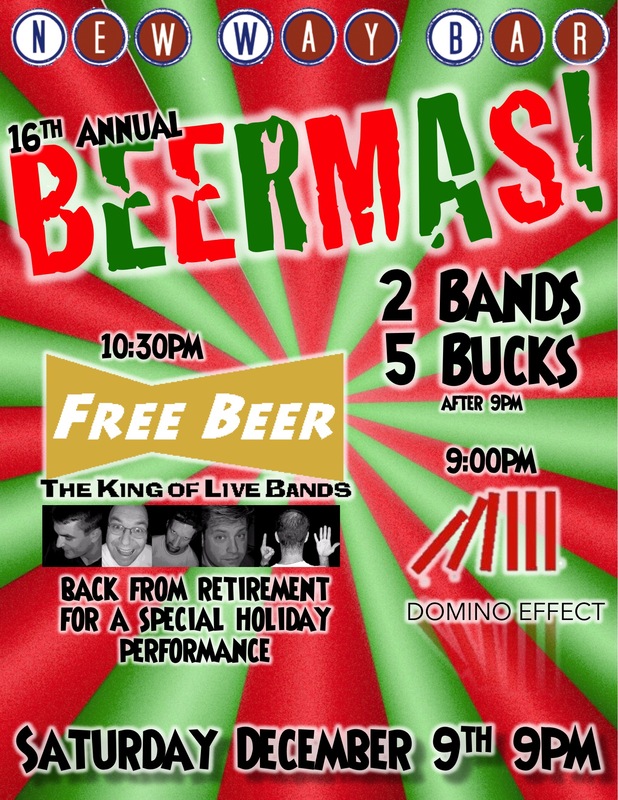 We kick it off at 9PM with Domino Effect, featuring Free Beer fill in bass player Mike Wielgat. Every year they get more awesome and every year we wonder why they don't play out more often! Next at 10:30P is Free Beer. Our lineup features Scott, Jim, Kurt and Jeff along with Bobby White on the Drums. We'll roll through the holiday tunes and blow out our best stuff in a 70 minute set. Plus, we have at least one surprise in plan for you (yes, even we at this advanced age can still learn!). 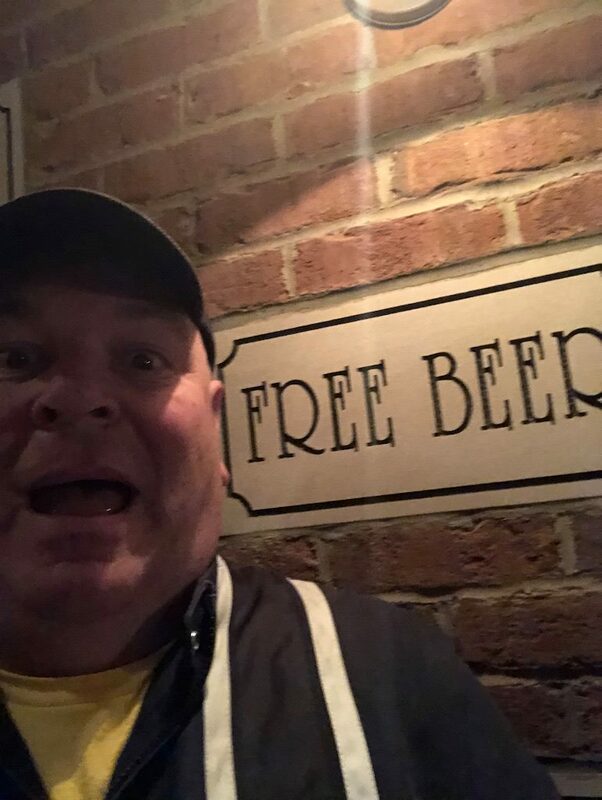 Finally, if you have not been following Free Beer news during the last year, Scott and Dewey have been sitting in with a group of Dads that got together to rock in a basement and somehow got good enough to take the show on the road (sound familiar?!?). They (we?) are called Grooving Violation and featuring Charlie Sunne, Mike Conrad and Rob Bowles and they have earned the "Special Headliner" slot on the bill for the evening, kicking off at Midnight. You should stick around and see what they have in store for you. The New Way Bar is located on Woodward 4 blocks north of 9 Mile Road, on the east side of the street. Parking is where you find it. Admission is 5 Bucks after 9PM. Domino Effect goes on promptly at 9PM. Free Beer at 10:30P. Grooving Violation at Midnight. Free Beer has always love playing Cowley's. We played there more than any other venue over our career. And it seems that Cowley's loves us too! They put together a "Wall Of Fame" on their stage and when it was unveiled there was a circle of the other bands who have frequented Cowley's over the year... sure enough, there is Free Beer right in the middle of it. So we were not as surprised as we should have been that after a long break, all of our friends from First Fridays at Cowley's were jam packed into the seats at Cowley's. Add to that the Farmington Holiday Parade, plus a snowstorm that turned into a rainstorm that turned into a thunderstorm ... people were running for cover right into Cowley's. Emily is now a blonde. Kimmy is now a mom. The whole Cowley's crew was glad to see us and our holiday show went just like you thought it would, with Kurt begrudgingly singing Jessie's Girl to close out the night due to some serious audience demand!! It was fun enough that we think we won't wait so long to do it again. Saturday January 6th 2017 at Cowley’s! There's been a lot of "Hey I thought you retired man!" talk after our Facebook posts announcing the Holiday shows. 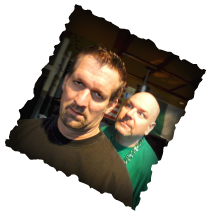 Yes, we retired from doing 50 shows a year to doing 3 or 4 shows a year. We retired, we didn't die!! We wanted to make sure that we came back and did a solid for Cowley's since they were always good about supporting Free Beer over the years. They even inserted us in the middle of their "Wall of Fame" right on the stage this year. And it is always great to play on the legendary stage in a great sounding room with our favorite owners, bartenders and waitstaff. It's always a happy reunion. We will try to go on stage as early as possible and play as late as possible. If you have a holiday party you need to be at, don't worry. By the time you leave, we will just be starting the second set and you can join us for the fun. 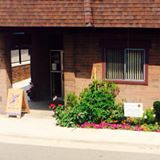 John Cowley and Sons is located on the northeast corner of Farmington and Grand River in downtown Farmington MI. Parking in the back. We will be upstairs. Saturday, December 1 at 9PM (or so). Admission is free. So Free Beer stayed retired for almost 11 months, but as the BeerMas season approached, we all started to get itchy. We can't miss BeerMas? Can we? We decided NO, we could not and put the wheels into motion. For the 16th year in a row, Free Beer played our Christmas show at the New Way Bar in Ferndale. 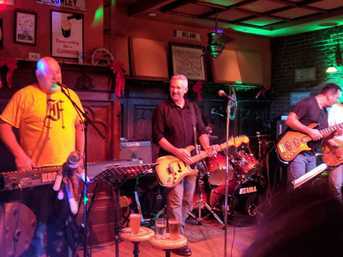 The Candy Band has also retired so they were missing from the bill but Domino Effect featuring Free Beer fill in bass player Mike Weilgat was ready for their annual show and kicked it off again. Every year they get better and better. Then it was our turn. Bobby White, on loan from the Love Junkies filled Tom's spot on Drums, but the rest of the band was intact. We dusted off our set list and played for almost 2 hours. We did the Grinch and Most Wonderful Time to Drink Beer. We did the Violent Femmes set. We played the Rocky Horror Show Tunes. We played Brittany Spears. We closed with Love Me Two Times. We were forced to do an encore and pulled out some Iggy. It was a perfect way to have some fun for the holiday with lots of friends. Let's see what happens around the second Saturday of December 2018! It IS the Most Wonderful Time to Drink Beer! Beermas 2016. ​The next to last show. ​People actually watched our Facebook Live Feed! T'was the most wonderful time to drink beer. Our last official Beermas as a band. If you remember this tradition started way back on 12/11/96, almost twenty years ago to the day at the New Way Bar. It was the New Way's Holiday Party with Gus and Tina mixed with Free Beer's holiday party. We started inviting other bands from the neighborhood and next thing you know, it's a tradition. This year we switched things around a little to cater to our aging audience. 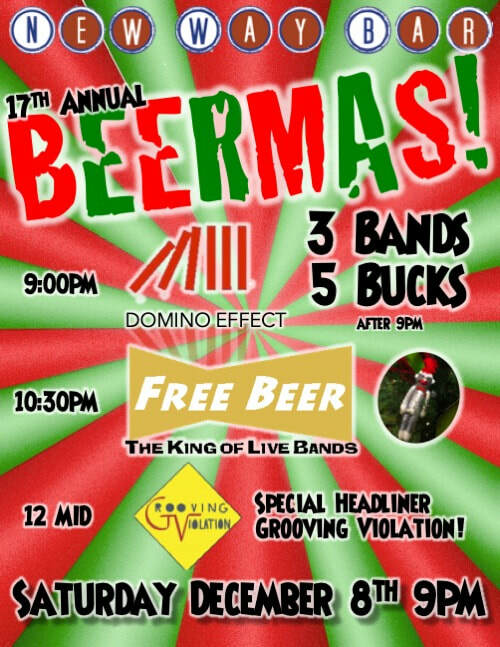 First we kicked off with Domino Effect featuring Free Beer fill in bass player Mike Weilgat at 9PM. As usual they rocked musically and brought a great crowd with them. At 10PM, Free Beer did a pop up 45 minute set so the folks who can't stay up to see our full set could still enjoy one last dose of Free Beer. Good news was that they all came and saw us play. However at that point the bar got so packed there was nowhere to stand. At 10:45P Free Beer stepped off the stage and The Candy Bandits ... Paula's new band with Maggie and Rob did a set of kids tunes, caroles and surf rock while Free Beer got to wander the crowd and converse after our set. By 11:30, they were done and we hopped back on stage to finish with 2 hours featuring our Christmas songs and every request the audience could come up with. Another really cool thing? We did a Facebook Live feed of Blister in the Sun and Add It Up. People actually watched. Funniest part was when Tom Daldin's son Anthony responded to his shout out in the feed from California!! Plus, It didn't snow (until 2AM) and everyone had a great time. Jamie, the new proprietor of the New Way said it was the largest crowd they have had in 4 years. Great way to ring out our last full year. Free Beer is big on Tradition. And two traditions will came to an end at the end of November and the beginning of December at Cowley's in Farmington. THANKSGIVING SATURDAY. ​This is our traditional Thanksgiving show. This started out on the Wednesday before Thanksgiving at the Library Pub in Novi almost two decades ago, people waiting in a line out the door to get in. It moved to the Library Pub in Novi and eventually to Cowley's on the Saturday after Thanksgiving. We've found it to be a bit more controlled environment than those Wednesday Night blowouts. Fewer kids barfing on their shoes, more older kids rocking out and enjoying a homecoming of sorts that Thanksgiving always provides. Our last Thanksgiving show was on Saturday November 25th at Cowley's in Farmington. AND IT WENT NOTHING LIKE WE EXPECTED. THE LAST FIRST FRIDAY. A decade of tradition here with Free Beer settling in to a regular spot in the Cowley's rotation on the First Friday of each month way back in 2006. 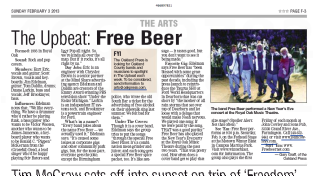 Somehow, as all the other bands dropped off the list and new ones joined, Free Beer has been the lead off hitter in the Cowley's lineup of bands for the last 10 years. This December, we join those other bands and step aside to let another band occupy the first position in the line up. It was great to see so many of our regular faces and those of some friends who haven't been coming recently but wanted to take the bike for one more ride before we put it away forever. That included Marty Beam, bass player #2 who brought his wife up to see the band and promised to sit in on January 27th. It also included Julia who came up to sing Suffragette City with us once more. There were also a number of Free Beer virgins who were just finding out how much fun we have, with only 2 shows left to go. There were few dry eyes when the last chord of Love Me Two Times rang out to end the evening. We did get a few photos to document the event. We had a Hall of a time! Old Friends, Great Costumes and Northville Hospitality Make Our Last Hall O Ween Party A Big Hit! NORTHVILLE MI FRIDAY OCTOBER 28 2016 -- It was a rare convergence of a place that loves us and old friends returning to visit Free Beer one last time before we retired. Since this was the Northville Eagles Halloween party, it was plenty festive before we even walked in the door. The locals had some great costumes (see the Tall Uncle Sam and Jelly Fish in the PHOTOS) plus Free Beer fans brought some serious costumes, especially Keith reviving the Free Beer can after 15 years to make it part of the winning costume entry "Free Beer Pong" with the help of Mary Kay and Audrey as Red Solo Cups. As for the guest artist list, Jeff was kind enough to let Dewey Larkin join us on stage for a set. Buddah (Josh White III), who we haven't seen in at least 3 years came up and sang a song. Bobby White joined us on Drums letting Tom Daldin come out front and hassle us! Local "Mazda" sang a Beatles song with us and Kurt's friend "Michael" tore up Remedy by the Black Crows for the final set. If the band ever decides to get together and play another Hall - o - Ween party, we will make sure to have it at Northville Eagles. We'll miss this place. See photos on our Facebook page or right here on the website. "If you empty the beer tent, you'll fill the bar!" FARMINGTON MI SEPTEMBER 16 2016 -- It was an atypical Harvest Moon Festival at Cowley's. There were plenty of people spilling in from the Beer Tent early in the evening. Seems there was more interest in seeing Free Beer at Cowley's than there was hanging out at the Beer Tent, so there was no en masse migration at 11PM. Still, it was a great crowd as we celebrated The Sixth Beer Emily's birthday and Dan, who's lovely wife said "Say It's Dan's Birthday as many times as you can. She had no idea. We did put a bit of a damper on the evening by announcing that Free Beer was retiring as a band ... there was an audible gasp with some knashing and wailing! Lex Kuhne showed up and Bobby White from the Love Junkies showed up and sat in on Drums (now that he knows our entire set!). Deedee Judy took some video of SOB and Leave Your Hat On to document the occasion. And you can enjoy all of the Sock Monkey photos here. Only thing missing this year was Tom Daldin from Under the Radar Michigan on Drums. A family vacation precluded him from the kit. No problem. This time Bobby White from the Love Junkies who is always in the audience at Cowley's already knew our set and was able to step in on a moment's notice! We kicked it off with So American by the Mutants and by trusting the audience with our camera and our Sock Monkey for some selfies with Free Beer in the background (we got the camera back before the monkey!) We finished off our run at Arts Beats and Eats with the Violent Femmes medley, the Rocky Horror medley and The Doors Love Me Two Times with an Iggy "I Wanna Be Your Dog" encore. Great finish to a great day. See all the pictures here!! FREE BEER Kicks off "The Detroit Burger BrAWL!" DETROIT AUGUST 27, 2016 -- Tom Daldin couldn't make it to this gig, so Steve Tocco sat in on Drums which is always a blast. We didn't have time to practice this week with Steve, so we were surprised when we found out he had learned a different "So American" than the Motor City Mutants. No problem. Steve listens to the song and 3 minutes later, we are kicking off the set with it. Great event! 15 or 20 of the best burger places all cook slider versions of their best burger. You pay one price and walk around eating little burgers until you can't. Not many people were paying attention to Free Beer with all that great food but we still had dancers and a good group of fans that watched and enjoyed. See the pictures here!! FARMINGTON AUGUST 5, 2016 -- Once a year, we have the Farmington School of Rock Adult Band warm us up and this was the evening. They took the stage at 9PM, did a very nice 7 song set and brought a lot of their friends with them. Greg St. James and Steve Kostan both showed up so we had a little Radio reunion. We went on about 10PM and their friends and our fans got up, danced and had a generally good time. We took a short break, and when we got back on stage, there were only 12 people in the bar! What?!? We've heard about the type of night where "you could introduce yourself to every member of the audience", so we gave it a shot. First we met Melody and Deb, played a song. Then we met Don and Kathy, played a song. Then we met Delores and Marcel, played a song. Then three young blondes named (not kidding) Kirsten, Kristin and Chris bounded up the back steps ... What do you want to hear? BON JOVI! We play Bon Jovi, they dance with everyone and leave out the back door after one song. Then we met Johnson and Keith, played a song. 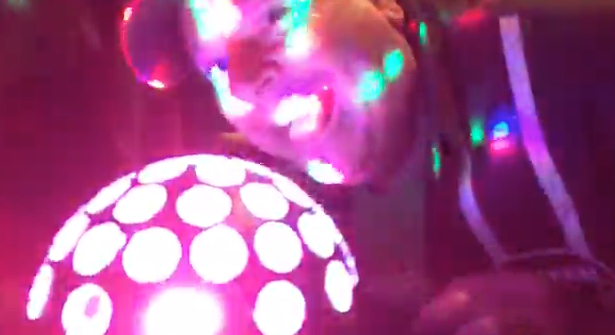 It ended up being really funny and a good time. We have pictures of all of them right here! FARMINGTON JULY 15, 2016 -- Farmington Founder Fest ended up being a blast. No First Friday in July because of the 4th of July Holiday so we had to wait two more weeks from our hiatus as a full band due to illness induced abscences. It was worth the wait. The bar started out full, and when the beer tent down the street closed up, it got fuller. We ended up doing three sets with a new female band member or two helping us out with those difficult tambourine duties. It sure makes us a better looking band! By the time we shut it down (at Cowley's request) the dance floor was still packed. Left em wanting more. Free Beer is sick man! No, we mean Ill! Physically Sick! Happy Birthday TOm! He's too sick to play! 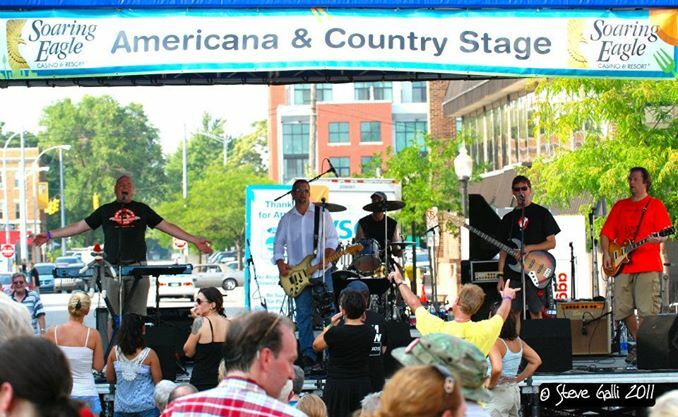 FARMINGTON MI, FRIDAY JUNE 3 -- It was about 6AM when word started to get out that Tom was just too sick to play. While shooting an episode of Under The Radar Michigan on Mackinaw Island, Tom either got a case of Food Poisoning or the worst flu ever. But Free Beer has a secret weapon, Steve Tocco! He's one of those musicians who can listen to the entire Free Beer set once and then sit behind the drum kit and play it! We are lucky to have Steve Tocco sitting in because we had a big night planned. It was AJ's birthday and he brought a bunch of his friends to celebrate. Plus, three of the ladies from the Social Club (Marcy, Terra and Marilla) were celebrating birthdays too! It was a great night on what could have been a disaster! Want to see the Sock Monkey pictures? They're HERE! No picnic in the metroPark. HARRISON TOWNSHIP, SUNDAY JUNE 5 -- By Sunday, both Tom and Jim were suffering and by 1PM we had to make the call to the Metroparks to cancel. They were very understanding, and due to the storms that had run through the park all day, there wern't going to be too many disappointed folks. We will look for another day this year when our schedules match up for a do over. NORTHVILLE FRIDAY MAY 13, 2016 -- Jeff caught some sort of epic cold / flu / sore throat thing and lucky for us Dewey was in town from one of his lengthy road trips to fill in. This was also the night that Jim went out and bought a new audio board with the Guitar Center Gift Card we gave him for his birthday last week and decided a live gig would be the best place to test it. Worked out for us! Bobby White from the Love Junkies was in the room and told us we sounded (not content, but actual sound quality) better than ever so it worked! Lucky Jim. Lynn was a great host again and the bartenders and cooks were great. Everyone stuck around and even got us to do an encore! There were still people streaming in as we were tearing down. We are putting together a list of dates for Hall Party 3.0 later this summer or early fall. See all of the pictures HERE! FARMINGTON MAY 6, 2016 -- This was our first actual First Friday of the year (with our show taking place on the first Friday of the month. It was a humdinger too. Jim Edelman celebrated his birthday by bringing part of his Cleveland family up to the show (yes, we played Cleveland Rocks!). It was also Jeff Brookmyer's birthday. Not just any birthday, #40! He's trying to downplay it but now that we have figured out that Jeff and Jim share a birthday weekend we will be prepared to embarrass him on #41! Prince died in late April so we did our tribute with a purple light on stage and our attempted rendition of Rasberry Beret. LANSING MARCH 26, 2016 -- Free Beer travelled north to Lansing to help out Roger Burghdoff's sister Simone Brewster who recently was diagnosed with ALS. On November 5, 2015 Simone Brewster (Burghdoff), was diagnosed with amyotrophic lateral sclerosis (ALS) or more commonly known as Lou Gehrig's disease. Simone is 54 years old from Dewitt, Michigan. She is a mother with four children and six grandchildren and has happily been married for 21 years. When Free Beer showed up a few hours before the show, the place was pretty full already. People were pretty excited and wanted to help raise money. By the time we went on there was no parking in the lot and it was standing room only. The kitchen had a one hour wait for food!! We hit the stage and for the most part people watched the first set. By set two, the crowd was getting warmed up and Simone requested "Mony Mony". We never have played the song, but it seemed simple enough so we went for it. By the time we finished, Kurt (who had been sick all week) had no voice left and the dance floor was filled with partygoers asking for an encore. Wow. Glad we could help out. If you want to help, donate to Simone's cause at https://www.gofundme.com/simonebrewster​. THURSDAY MARCH 17 2016 -- For the fifth year running, Free Beer closed the show at Cowley's on their most important day of the year, St. Patrick's Day, March 17th. Best part of getting there there early was hanging out with our friend Karen Savelly from WCSX-FM. We caught the end of the sent from the Shawn Riley Band who started around 10AM. They ended it with the Star Spangled Banner ... see the video! Find all of the photos here! !We again pulled off our Marathon Irish/Rock/Irish/Rock etc. show with the top of each hour featuring Ron Jewell standing up front telling Irish Jokes, singing Irish Song and playing Irish Guitar while Marcel Lim played Irishi Fiddle to everyone's favorite Irish Songs. We kicked it off at 4:30P and we played all the way until 11PM. Our favorite Cowley's Ex Waitress Deana was there! Marcel was all over the place. He wore a kilt. He played Keyboards during Add It Up. He did a tap solo during Little Less Conversation. We gave a way a trip to Ireland with the Mercy High School Dads club. No one from the band won. Check out the photos here!! Free Beer plays through a short power outage and celebrates Laura's Birthday! FRIDAY, FEBRUARY 19, 2016 -- It was a gig that was a long time coming but it was worth it! Lynn and the rest of the crew made Free Beer feel right at home at the Northville Eagles Hall. People were worried that it was a private club. Not a problem, everyone could come. And they did. The place was fully decorated for us when we got there. They gave us a Love Monkey! They had some great food waiting for us. They covered our bar tab. They danced to every single song, even during the first set. They had two 50/50 raffles which Free Beer Fans won! It was Free Beer Superfan Laura Colavecchia's birthday and we celebrated that! Strangest part was in the middle of Hard To Handle, the power for all of downtown Northville went out. Then it came back on 1 minute later. So we started up where we left off. Good times. I am sure we will be back. FRIDAY FEBRUARY 12, 2016 -- Winter Cold finally arrived in the Motor City. We didn't really care that much because it's always warm inside of Cowley's and a pretty good lot of you also decided the way to keep warm was with some loud Rock and Roll. Thanks to Deedee Judy and the entire SPSC crew for arranging to come out. They fill the dance floor from start to finish. We love them! We debuted a number of new songs including David Bowie's Heroes, Hey Bulldog from the Beatles, SOB from Nathaniel Rateliff and the Nightsweats, Shattered from the Stones plus a couple of songs that have been played but not learned previously (Smokin' in the Boys Room and Suffragette City). Things were going great and next thing you know, it's LAST CALL. Time flies when you are having fun or your watch is set an hour behind! Click here to see pictures of the Second Friday in February at Cowley's! First Gig of the New Year and Free Beer Has A Baby! Jeff Brookmyer and Rachel bring our new baby Oksana to cowley's! FRIDAY JANUARY 8 2016 -- So back in December Free Beer Bass Player Jeffery Broomyer and Rachel had our band's baby, Oksana Christine Brookmyer! We are all so proud and it was a real treat to bring Oksana up to meet all her Uncles and Aunts for our first gig of the New Year at Cowley's. She got her first (of many) pictures with the Sock Monkey and everyone got a chance to hold her. First Friday (which was actually Second Friday) celebrated the many many birthdays falling on January 8th and 9th. So we played the music of Elvis Presley and David Bowie, both January 8th Babies. We played nothing for Richard Nixon (Jan 8). Plus we celebrated birthdays from Denise and Ann-Marg-Roc (Jan 8th) and Teresa (Jan 9th). One strange thing did happen. There was a group from Germany sitting in the front row who insisted that we play Black Betty from Ram Jam. Didn't actually know it, so we lipsynced it. Everyone seemed to enjoy it just a little too much. If you would like to see all of the photos we took with Oksana, The Sock Monkey and The Band, click here. So much stuff started piling up on this page it was getting hard to load. So every six months, we will push it back to the blog ... which technically our home page is ... since it tells the story of Free Beer in pictures, text and links in a chronological order ... that's kinda what a Blog is. So we're owning up to it. If you have read this far, why not go for the long haul? Click here to head down memory lane!! 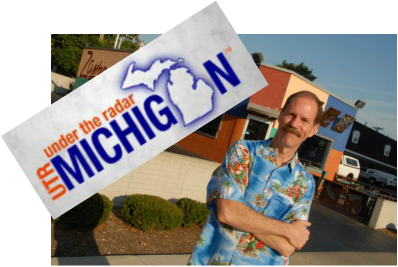 What a great episode of Under The Radar Michigan featuring Free Beer recording our video at Groove Box studios. Here's a link to the video we recorded of "Love Me Two Times". We know good journalism when we read it ... 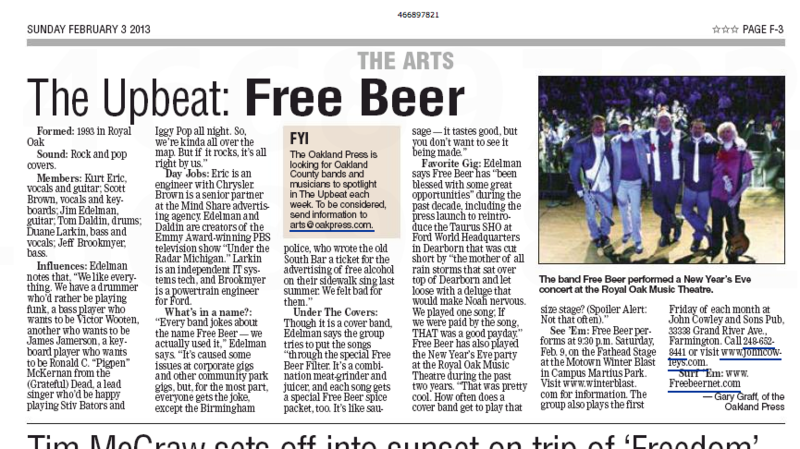 Thanks to Gary Graff for digging up the dirt on Free Beer and putting it in the Oakland Press. Appreciate it!! Finally, Someone Sets The Numbers Straight!! 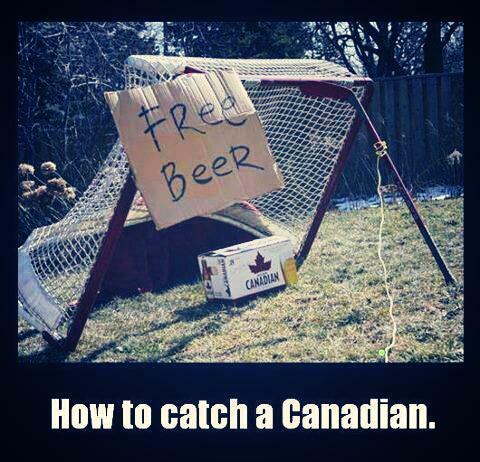 Some people will go through anything to get some Free Beer!! Kurt does a Girly Shot! See what happens when Emily sticks something hard in Kurt's mouth, and then the end of it gets all creamy and white, so Kurt rears his head back and swallows all of it, wipes the residue off his chin, just to lean forward all satisfied. Watch the video and see if we here at www.freebeernet.com have any part of this incorrect.